The St. John Valley Cultural Byway, also know as the Parcours culturel de la Vallèe, is rich with Maine's Acadian heritage and culture. 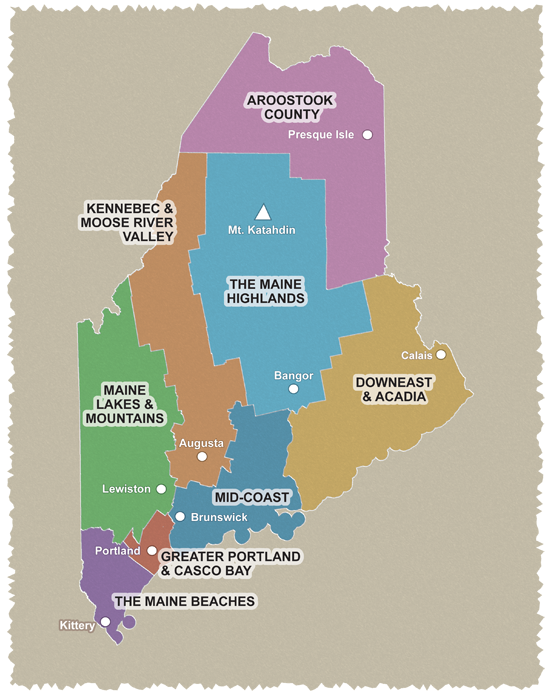 The byway travels a total of 92 miles along the northern border of Maine and through the St. John Valley. The western terminus of the St. John Valley Cultural Byway begins in Dickey on Route 161, adjacent to the Allagash Historical Society Museum and continues eastward until it joins US Route 1 in Fort Kent. From Fort Kent, the byway follows Route 1 to the intersection of US Route 1 and US Route 1A in Van Buren. It then follows Route 1A to the Hamlin/Caswell town line. The byway also includes a section of Route 162 from the intersection of US Route 1 and Route 162 in Frenchville to the community of Sinclair. the byway also includes a section of Route 1 from the intersection of Route 1 and Route 1A in Van Buren traveling southbound approximately 4/5 miles to a location in Cyr Plantation.